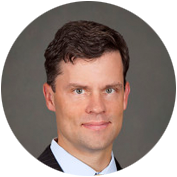 Dr. Phillip C. Hoopes, Jr. is a board-certified ophthalmologist and fellowship-trained corneal specialist. He is the medical director of EyeSurg of Utah, Hoopes Vision’s on-site ambulatory surgery center. After graduating from Brigham Young University, Dr. Hoopes, Jr. received his medical training at the Wake Forest University School of Medicine in Winston-Salem, North Carolina. He stayed at Wake Forest for his internship and residency in ophthalmology, where he was co-chief resident in his final year, while the clinical ophthalmology program was ranked in the top ten nationwide. After residency, he completed a fellowship in cornea and external disease at the prestigious Eye Consultants of Atlanta. Upon completion of his fellowship training, Dr. Hoopes, Jr. joined Hoopes Vision as a cornea, cataract, and LASIK surgeon, where he has become well-known for his surgical expertise as well as his embrace of new technology and clinical research. After taking part in the clinical trials, Dr. Hoopes, Jr. was the first surgeon in America to perform the KAMRA corneal inlay procedure after FDA approval. EyeSurg of Utah was the first surgery center in the world to feature multiple cataract laser systems. Dr. Hoopes, Jr. has published and presented papers and articles at national and international conferences of ophthalmic surgeons. Dr. Hoopes, Jr. is fluent in Spanish and Portuguese. He and his wife, Tricia, are the parents of three sons and a daughter.